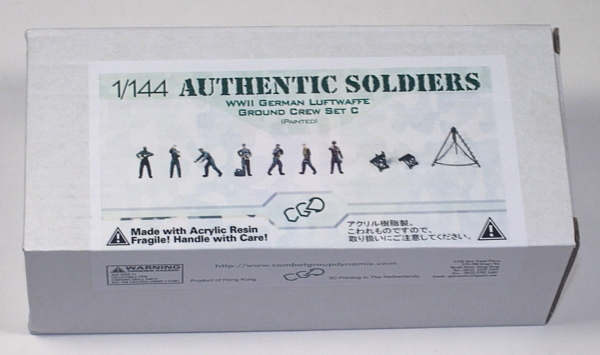 A few months ago I had the privilege of reviewing the first two sets of German Luftwaffe ground support figures put out by Combat Group Dynamix (CGD) in 1/144. 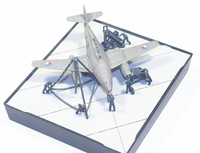 Those two sets were primarily meant for bombers since they provided figures, bombs and bomb loading equipment. 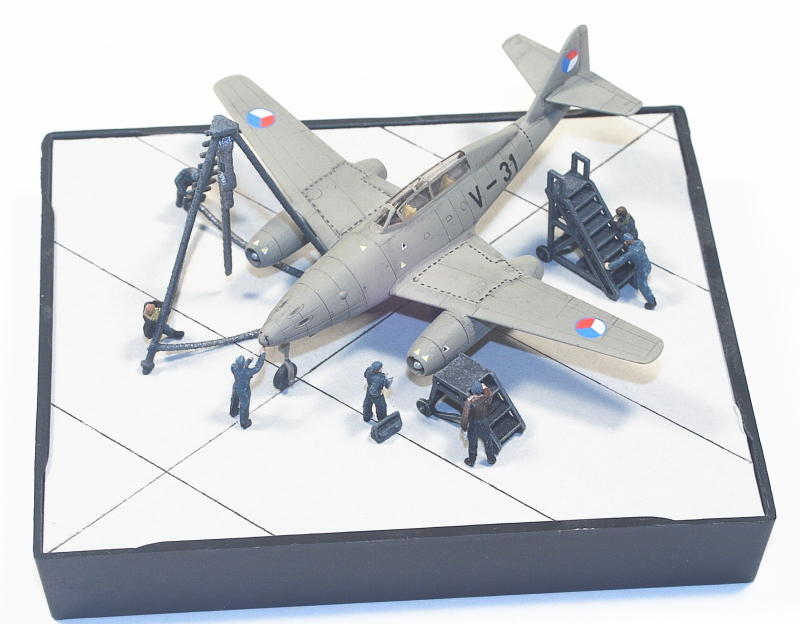 This set, German Luftwaffe Ground Crew Set C, leans more towards "general" maintenance. There are four specific ground crew, two walking pilots, and what appears to be a higher-ranking officer. In addition to the humans, there is a small set of stairs, a larger set of stairs, and a maintenance "dolly". After removing the figures from their runners, there will be a little bit of cleaning up to do. Don't try to get the figures to stand on their own, I sanded down a couple of boots by what I consider "too much" and still can't get them to stand. So, if you're not adding the figures permanently, you'll definitely want to add them to some type of stand for each guy. 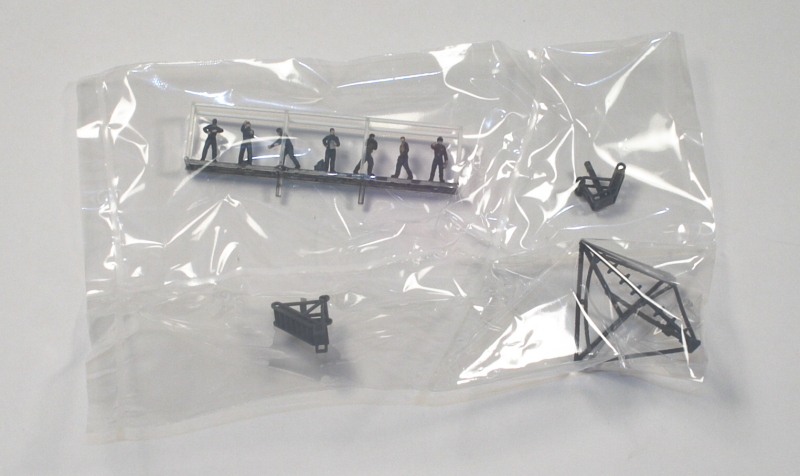 The stairs will need to have the runner connector removed from the bottom of each, and the "dolly" (CGD calls it a "Krupp Feldkran") will need some connecting pieces taken off as well. The set I'm reviewing is the "standard" pre-painted set - you can also purchase the set colored as Afrika Korps, or not painted at all. In general I like how CGD paints their figures except for one aspect, the flesh-colored parts. 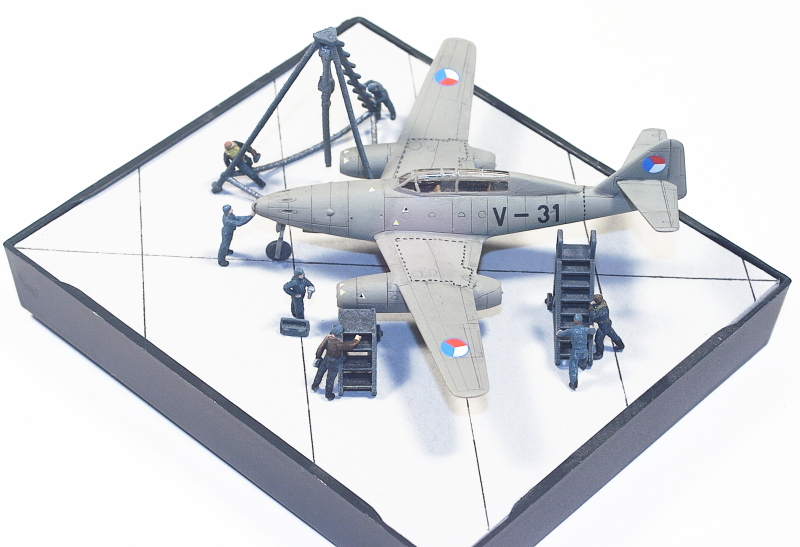 For most people what CGD provides will be "good enough", but if you're looking to present a diorama in a contest-environment, you'll definitely want to work on these areas some more. Another aspect I think will benefit from replacement is the "block and tackle" on the Krupp Feldkran. Naturally due to the material it's extremely difficult to get anything molded to look like a block-and-tackle. What I'm planning is to replace all of it with something from the model railroad section, more than likely in 'N gauge'. All in all, though, this is a really nice set, and will enhance any type of German Luftwaffe display you have. 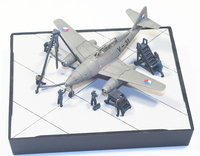 As you can see I placed everything around the CS-92 I already had built, but I am planning a much larger display with all three sets of figures. I definitely say "thank you" to Combat Group Dynamix for allowing me to review this set.